As a public foundation, the Berlin Philharmonic is not only financed by grants from the City of Berlin (15 Mio. Euro per year). Ticket sales, hall rentals, merchandizing, recordings and concert tours secure the prestigious orchestra also own revenue on a constant high level. The total budget is about 34 Mio Euro per year. The commitment of major sponsors such as the Deutsche Bank guarantees the continued existence of the award-winning education program Zukunft@BPhil and the DIGITAL CONCERT HALL (DCH). What could medium and small orchestra learn the business model of the Berlin Philharmonic? The Berlin Philharmonic since 2002 is a public foundation, which is supported by the City of Berlin. The Foundation generates additional revenue about 67 percent of the whole budget to the city’s own contribution. This is outstanding. Within the Berlin Philharmonic Foundation, there are three main pillars of self-generated revenue: 1. proceeds from the ticket sales of a magnitude that is nearing the height of the city’s grant. 2. In addition, revenues come from the rental of rooms, the two concert halls and concert tours of the orchestra. 3. Deutsche Bank and further sponsors support the orchestra. The sponsorship money is managed by the Berlin Philharmonie GmbH (Ltd.), a wholly owned subsidiary of the Foundation. The main sponsor is the Deutsche Bank, which finances the education program Zukunft@BPhil, the communication and marketing departments and the DCH with about 6 Mio. Euro per year. The second major sponsor is the Volkswagen Group, which makes the annual European Concert. The Friends of the Berlin Philharmonic support the orchestra especially in obtaining high-quality instruments. These are usually purchased by the Friends of the Foundation and forwarded to the Foundation or directly to the musicians as permanent loans. The ticket sales developed quite well during the last few years. The orchestra was able already before the creation of the foundation to set the ticket prices itself. Over the past few years the foundation had to raise ticket prices because of stagnant public funding and had to absorb all cost increases itself. Meanwhile, the organization has arrived at a magnitude of about 10 Mio. Euro from ticket sales per year. This high amount refers to the stable attendance of audiences to the two concert halls. The revenue accounted for a total capacity of around 95 percent of the paid seats. The free ticket contingent is lower by about two percent less than that of many other cultural institutions in the city. In Berlin, the price can vary for concert tickets known to be at a lower level than in cities such as Hamburg or Munich. However, the cultural offers in Berlin are very big. The Berlin Philharmonic takes a pool position with a variety of concerts at the present market. Per season, the orchestra performs 90 – 95 symphony concerts and some 40 chamber concerts. In such a situation prices cannot be calculated as high as at a festival, where an orchestra only occurs two or three times. The ticket prices are in comparison to the ticket prices in the pop music industry very reasonable. The chamber music hall has been opened for more experimental programs. This created a larger audience. In the great hall the orchestra can reach at symphony concerts, of course, a higher utilization. However, considering that the chamber music hall with more than 1100 seats rather large, some 70 percent of tickets sold are a thoroughly enjoyable record. Various campaigns, media partnerships and support from other institutions have helped the management to increase the capacity of this smaller hall continuously. The large hall with 2440 seats is particularly popular as it offers the possibility to generate high revenues. Due to the large number of the own events and rehearsals of the orchestra, the large hall is not often available. On stage of the Chamber Music Hall only small concerts can take place due to space and security reasons. Otherwise, there are still areas such as the “Green Room” or the south foyer for receptions on rent. But in the overall balance these items are rather small. The income from concert tours is very important for the balance sheet. For the orchestra alone it is important from an artistic point of view to be present in other major music centers of the world. For the foundation as an institution, it is also crucial that touring generates stable income. One must pay close attention to financial balance. Not at any place equally high yields can be achieved. The touring business is still an important economic factor, despite the global financial crisis. At the time Herbert von Karajan already a compaby of musicians was formed, which perceived the media rights of the orchestra. Since 2002, a Limited of trustees, a wholly owned subsidiary of the Foundation’s manages the income from sales of recorded music and film rights. But times have changed. 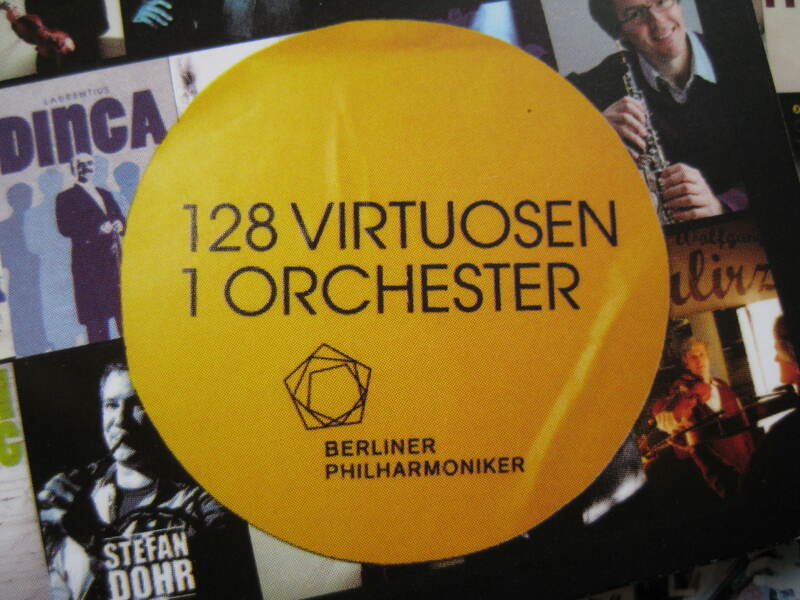 Unlike to other orchestras the BPhil musicians do not get a media package, but the orchestra members can decide on the exploitation of their rights themselves. Purely legal, it is income to the individual orchestra members directly and are therefore not reflected in the foundation budget. While there are agreements under which the foundation of the proceeds of certain audio and video recordings is involved in the Philharmonic budget. This however makes up only a small portion of the foundations revenue. Even marketing and communications have changed since the founding of the Foundation. As the organization completed the sponsorship deal with Deutsche Bank, it was settled that the presence should be expanded in the medial department. Since then the orchestra had the opportunity to make its publications more expensive. Even in marketing, one can operate differently than before. It depends not so much on the new legal form than with the higher financial resources given by the sponsor. The internet is for marketing of great importance, because potential customers can be addressed directly in this way. The management is working on electronic tickets, which you can print out on your computer yourself as such as airline or train tickets. There must be, however, a maximum protection against forgery, to prevent in most popular concerts some hundreds of illegal e-tickets in circulation. The advantages of electronic tickets are obvious: The customer would save much time, and the orchestra could reduce administrative costs. At pre-booking-weekends already 60 to 65 percent of the tickets are purchased through the internet. Other distribution channels such as the cash register, the telephone and the written order, however are continued to be kept open to all interested parties to offer a real chance at a concert visit. The future of the Berlin Philharmonic looks bright: The management has safety in planning for the next time, both in terms of state funds as well as the sponsors. If nothing unexpected happens, the economic situation over the next four to five years will remain stable. Also the fact that the contract has been extended with chief conductor Sir Simon Rattle in 2018, has a positive impact on the overall situation. The design of the BPhil foundation model is of course specifically connected with the Berlin Philharmonic. The five-year grant contract with the City of Berlin allows the management to plan to work with guest conductors and soloists and concert tours with the necessary time heats. The model of a public foundation that provides both legal and economic independence is more generally also suitable for other orchestras. Good morning. I am using this articles as literature for my master’s thesis about business models for orchestras and I would like to know who wrote it. Thanks!